We've combined quality and durability in our own private label line of recorders. Made of high quality ABS resin, these lightweight Yamaha level quality recorders feature precise, uniform intonation, making them perfect for beginners. 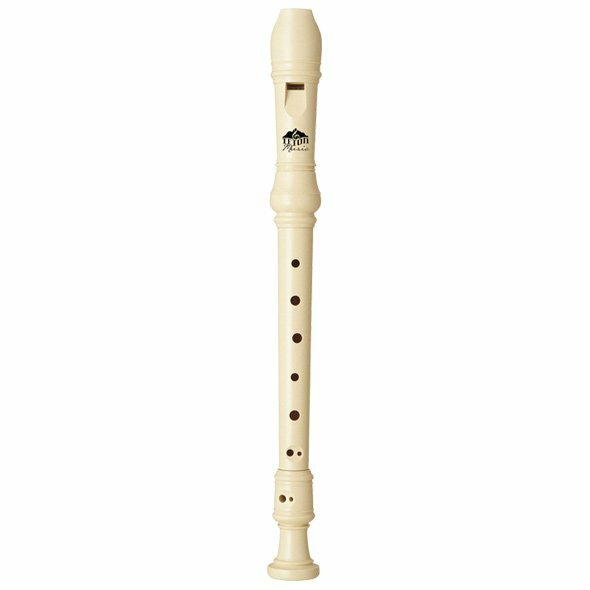 After playing, wipe out moisture inside of recorder (use a lint-free gauze or cloth) plus a recorder cleaning rod; then put the recorder in it's case. The labium (where the air flows in the front of the recorder just under the mouthpiece), and section immediately surrounding it, is the most important part for sound production. Be careful not to damage it in any way. The mouthpiece section is the part most easily dirtied;always keep it clean. Wipe the outer surface clean whenever it becomes dirty. NEVER use benzine or methyl alcohol. Use recorder cream around the joints when assembling your recorder.